Today, too many Americans feel like they are locked out of their own democracy. For a variety of reasons, it feels like it’s getting harder to vote in elections but becoming easier to buy them. While voters in San Diego County enjoy “no excuse absentee” voting and can cast their ballots by mail, not everyone in America has this kind of access to the ballot box. 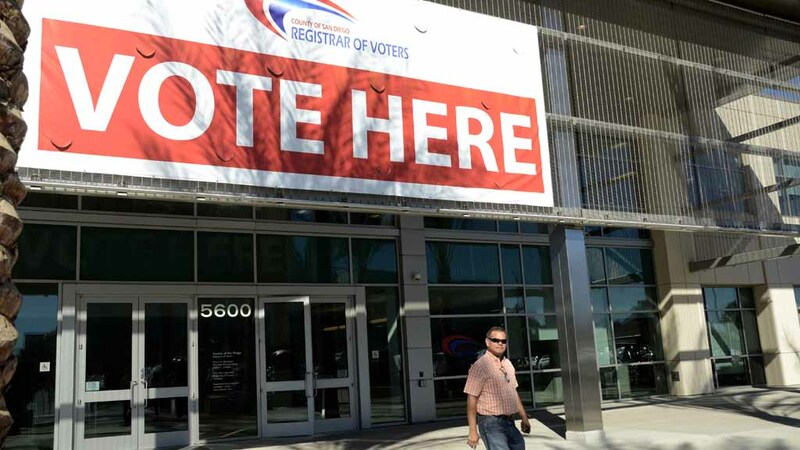 There are currently 21 states that require voters to provide a formal excuse in order to vote absentee, such as a doctor’s note, the details of a religious obligation, one’s latest pregnancy status, or specific vacation details. For many Americans, these requirements are an undue burden and curtail many from taking part in the democratic process. That’s what the Universal Right to Vote by Mail Act (H.R. 1618) hopes to solve. This important bill would allow voters in all 50 states to vote by mail without having to jump through bureaucratic hoops and needing to disclose their private information. But expanding the right to vote is just the first step in repairing our democracy. We also need to ensure that each and every vote means something. 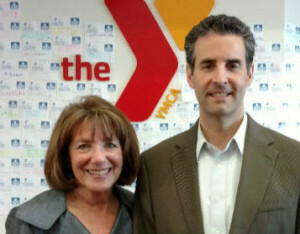 Susan Davis and John Sarbanes at the Copley-Price Family YMCA in San Diego. Americans today feel like their voices don’t matter. They believe that wealthy and well-connected special interests have taken hold of our democracy, and that Congress no longer represents the will of the people. This deep-seated cynicism — one of the few things that unites progressives, conservatives and everyone in between — is warranted. Time and again, the public watches as Congress puts the interests of big-money donors and Washington insiders ahead of the interests of hardworking American families. For example, look at workplace issues. More than 80 percent of Americans believe that equal pay for equal work, paid family leave and paid sick leave are “good for our nation.” But Congress — which has become too financially dependent on corporate interests that have a different agenda — has failed to pass any legislation that extends these important benefits to American workers. This familiar pattern, where Washington puts special interests ahead of the public’s interest, has enraged the American electorate and has convinced many rational and thoughtful voters to give up on our democracy and exit the political square. That creates a vacuum, and the most extreme voices in our political system then rush in. Still, there is reason to hope. Most Members of Congress — who first entered politics to help their communities and make a positive impact on our nation — are also frustrated by the current system. Many want change. And if we can create a new way for candidates to fund their campaigns — a way that frees them from the big-money crowd and allows them to spend more time with the people they are elected to serve — then we make Congress more responsive to the needs of ordinary citizens. That’s the idea behind the Government By the People Act (H.R. 20). Under this proposal, every American voter could get a tax credit for making a small donation to a candidate running for Congress, which would help bring everyday people back into our political system. Then, if that candidate agrees to voluntary contribution limits, the Government By the People Act would boost each small donation with a matching fund. The combination of the tax credit, which allows Americans of modest means to participate in the political process, and the matching fund, which amplifies the power of each voter’s donation, would give everyday citizens a voice again in government — a voice that would rival the influence of any wealthy donor or special interest. By making citizen-funded elections a viable alternative to our current big-money system, members of Congress would be able to spend more time with their constituents. That means more face-to-face conversations about what everyday people care about. That’s what we can achieve with the Government By the People Act. And by combining this kind of reform with expanded access to the ballot box, we can put everyday people back in charge of our government and restore the public’s trust in our democracy. Congresswoman Susan Davis represents California’s 53rd Congressional District, and Congressman John Sarbanes represents Maryland’s 3rd Congressional District.